Unless you have been living under a rock, by now you have read that OPEC has decided to leave its production target unchanged. A widely expected move, OPEC’s decision to leave its collective output at 30 million barrels per day will likely not have an enormous effect on the oil markets in the short-term. Prices were down a bit on June 5, but the markets had largely baked OPEC’s move into the price already. In fact, there were rumors that the group may even lift its production target, but that was not generally seen as likely. If that had occurred, prices would have been crushed. 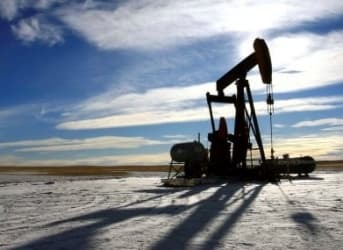 But with the status quo affirmed for now, OPEC appears comfortable with its strategy to play for market share, and the markets will have to continue on their path towards slowly balancing out. The strategy will be the legacy of the most important oil man in the world – the Saudi Oil Minister Ali al-Naimi, who may have just wrapped up his last OPEC meeting. The 79 year-old is expected to retire, but is widely hailed throughout the oil world as a masterful leader of OPEC. Growing up in Saudi Arabia’s eastern provinces, he was plucked out of a shepherd’s field at age 12 to work small tasks for Aramco. He rose to the top, becoming President of Saudi Aramco and eventually oil minister. He controlled the helm through turbulent times – the global financial crisis, the Arab Spring and, most daunting of all, the onset of the US shale revolution. Abandoning the traditional response of lowering output, al-Naimi forced through his decision to keep output steady in the face of a growing global glut of oil while resisting opposition within OPEC. The move will probably be the most memorable period of his legacy, and he will go out with respect from oil executives around the world. And interest in Iran is huge. French oil giant Total (NYSE: TOT), along with a litany of other European oil firms, have expressed strong interest in going back into Iran. “We love Iran,” Total’s CEO Patrick Pouyanne, said after a private meeting with Iranian officials on the sidelines of the OPEC meeting. But, as a result of the sanctions, he lamented “[w]e can’t invest in Iran.” With the nuclear negotiations now just a few weeks away, a lot could change in a short period of time. The other piece of news coming out of the OPEC meeting was Indonesia’s push to rejoin the cartel after six years away. Indonesia used to be a full member of the group, but suspended its membership when it became a net oil importer in 2008. The gap between Indonesia’s production and consumption has only grown since then, but Indonesia sees more benefits of being inside than outside OPEC. In fact, Indonesia is keen to secure supply contracts with OPEC members, as it is planning on a major build up in refining capacity and needs crude supplies to fuel the production of refined products. Generally speaking, being a net oil exporter is a prerequisite of becoming a full member of OPEC, but Indonesia is pushing to regain full member status, perhaps as early as the November meeting. The Financial Times reported on a new technology coming out of Estonia that could open up a truly massive amount of energy. Estonia is a pioneer in “oil shale” technology. That is not to be confused with shale oil – oil that we have become familiar with that is drilled in the Eagle Ford and the Bakken. Oil shale on the other hand is a precursor to oil, a solid rocky substance called “kerogen” that can be mined and heated up to eventually release useful amounts of oil and gas. It is much more expensive and dirty than conventional or even unconventional oil from fracking. But Estonia has improved the production efficiency of the process and may begin exporting its technology. The mind-boggling fact to remember about kerogen, or oil shale, is that there are an estimated 5,000 billion barrels of it around the world, a higher level of reserves than conventional oil. Up until now most of that has been off limits, but Estonia is on the verge of cracking that open. It plans on exporting its technology for the first time to Jordan.